We embarked on our road trip across the country on Sunday, after the apartment was clean enough for a subletter and the last bags were shoved in the car. We stopped for a delicious dinner with Jonathan’s sister Donna and her boyfriend Erik in Binghamton, NY, then headed on to stay with Jonathan’s mom for a couple nights in Rochester. We’re glad we both get a chance to see our families before we leave the country. On Monday we visited Rochester’s toy museum, the Margaret Woodbury Strong Museum of Play. 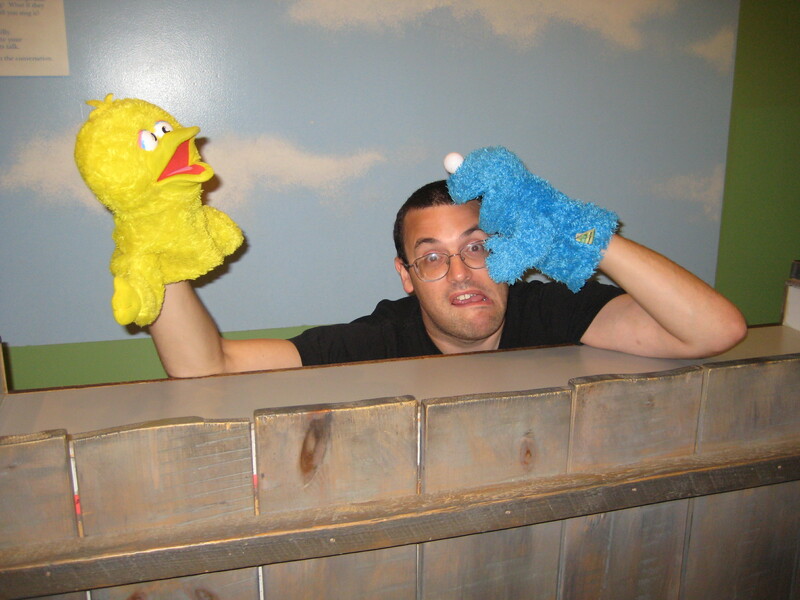 We were the oldest people there who weren’t accompanied by kids, we have no doubt — but who needs to be 3 feet tall to love a full-on interactive reproduction of the Sesame Street set? We got to play with all sorts of toys from our childhoods, and we even managed to discover Becky’s true calling: she was born to be a construction engineer. 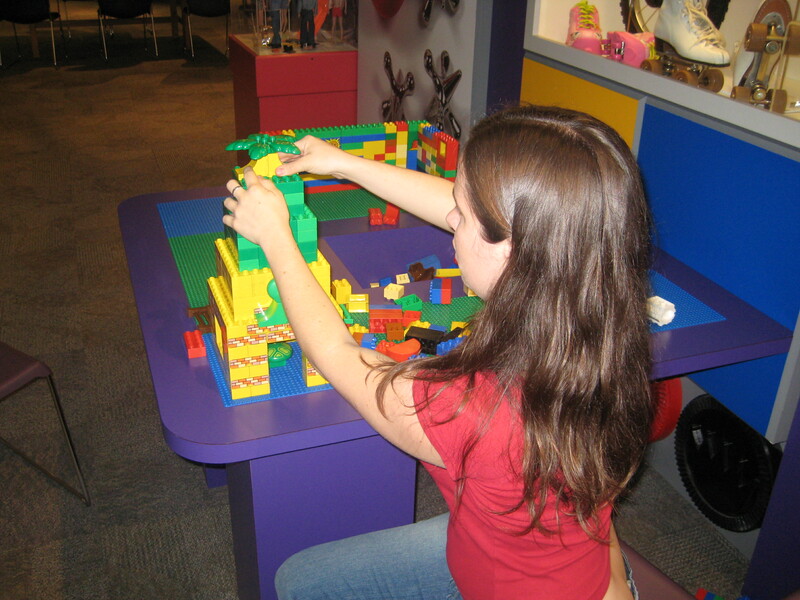 Becky hogged the Lego table for more than an hour. More on the meandering path of the roadtrip later! This entry was posted on August 13, 2008 at 1:44 am and is filed under Uncategorized. You can follow any responses to this entry through the RSS 2.0 feed. You can leave a response, or trackback from your own site.